The former of the Manchester United's young players, Danny Webber, claiming Danny Welbeck hurts his feeling when he was kicked out of Old Trafford by Louis Van Gaal. 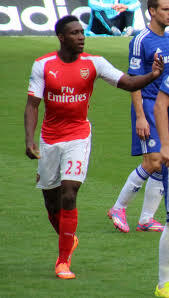 Welbeck grow and develop in the junior Red Devils squad. He finally penetrated the United senior team in 2008. It also can make itself as one of the main options Sir Alex Ferguson on the front lines of the squad. Unfortunately togetherness boy was the original Manchester Red Devils ended in 2014. For Van Gaal, Welbeck did not seem like the style of the game. He was finally defected to Arsenal. Webber, who had been studying at MU squad from 1998 to 2003, knows very well the figure of Welbeck. He also saw the striker has grown in the Red Devils academy. He also mentioned that the 25-year-old striker hurt after found himself kicked out of Old Trafford. Webber told to the Yahoo Sports that as a player will immediately feel the vibration if a manager does not like it and undesirable. Webber equalizes the conditions that he experienced with the condition of Welbeck and it felt awkward at all. But that's football. Webber added that Welbeck who has been defending Manchester United since he was eight years of being hurt and develop into a winner as well as the players who play in big matches. He still did not know why the United release Welbeck to Arsenal, where Welbeck directly tune with brilliant before finally getting a serious knee injury.